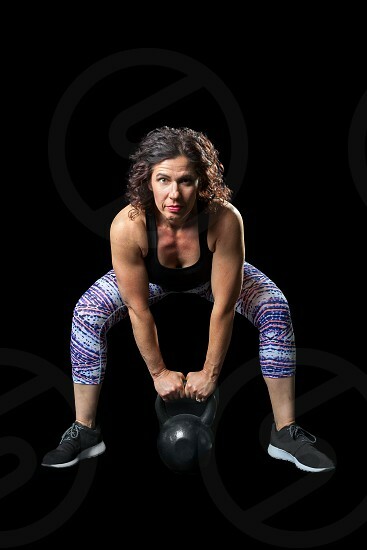 Intense image of a female weightlifter bending over to do a kettlebell dead lift. On a black background. Path around the woman.